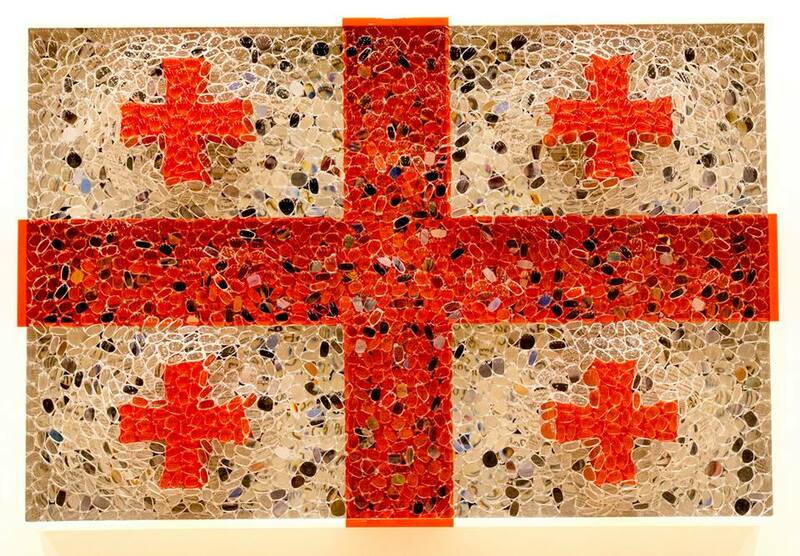 Georgian-born artist David Datuna has gifted his Georgian flag project named “Georgia – hope of millions” to the Georgian people. 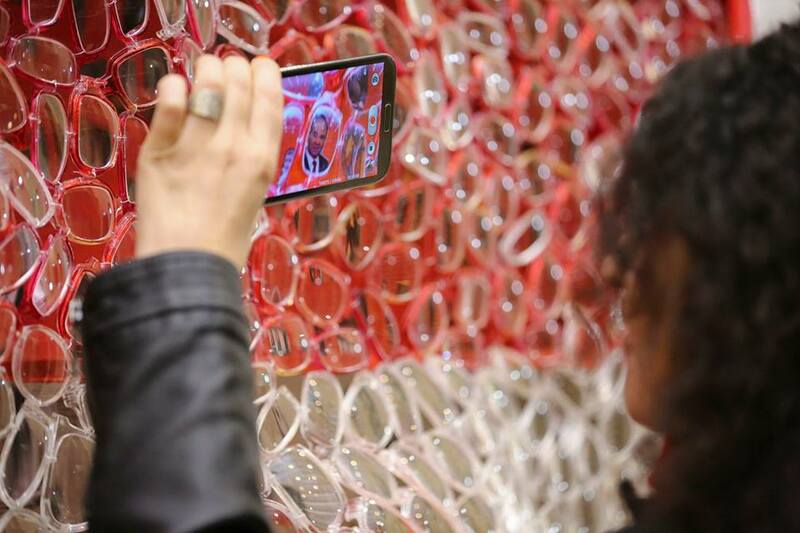 The artwork, in the shape and color of the Georgian flag, was created from hundreds of optical lenses of varying magnification that illuminate underlying images of Georgia’s history and political and social culture. David Datuna’s “Georgia – hope of millions”. Photo courtesy of the President of Georgia’s Administration. 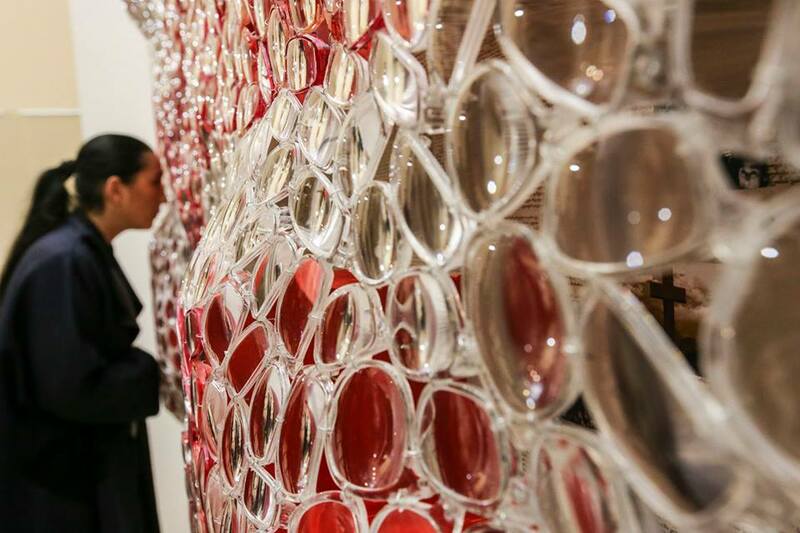 The mosaic lenses artwork cost more than 1 million USD to create. 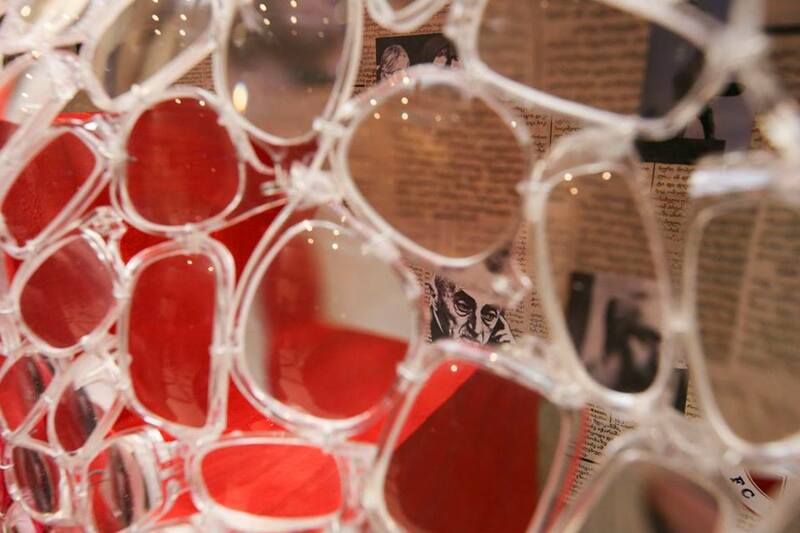 The optical lenses illuminate underlying images of Georgia’s history and political and social culture. Photo courtesy of the President’s Administration. 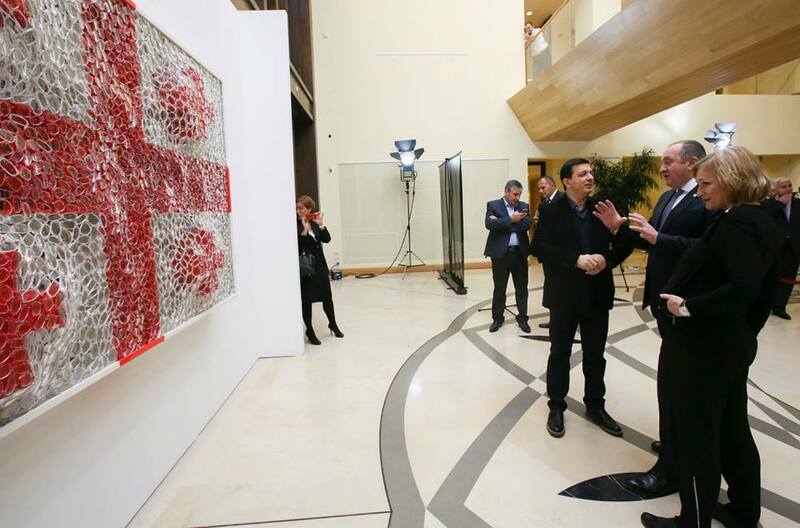 The artwork was presented by David Datuna to the President of Georgia at the Presidential Palace in Tbilisi in November 2014. The President of Georgia, Giorgi Margvelashvili, and David Datuna. Photo courtesy of the President of Georgia’s Administration. Now based in America, David Datuna has used optical lenses to create an American flag artwork and portraits of Michael Jackson, Marilyn Monroe and others.